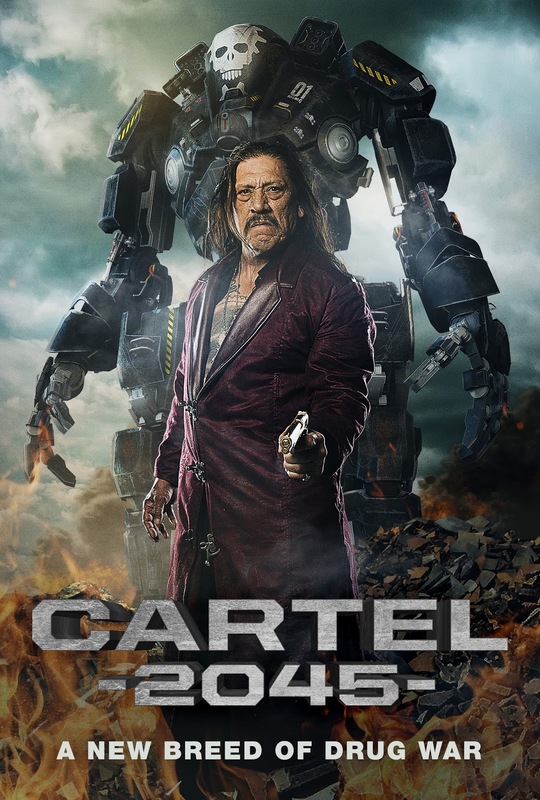 Action superstar Danny Trejo is out to make a killing in Chris Le’s thrilling sci-fi action film Cartel 2045, exploding onto digital platforms this May! From director Chris Le, it stars Danny Trejo (Machete, The Devil’s Rejects), Alexander P. Heartman (Power Rangers Samurai), Brad Schmidt (House of Lies), and Blake Webb (Colony). It will be released on VOD May 1st from Uncork’d Entertainment. Check out the synopsis, trailer, and stills below. "One last mission. Retrieve the asset. Go Back to Your Family. The year is 2045, the continuing drug war has caused havoc between The United States and Mexico. Gear Side International, a robotics engineering company on the brink of bankruptcy, sells off their technology to the Cartel on the black market. With the advanced military robotics technology in the wrong hands the cartel uses it to their advantage; replacing their enforcers, hit men, and soldiers."